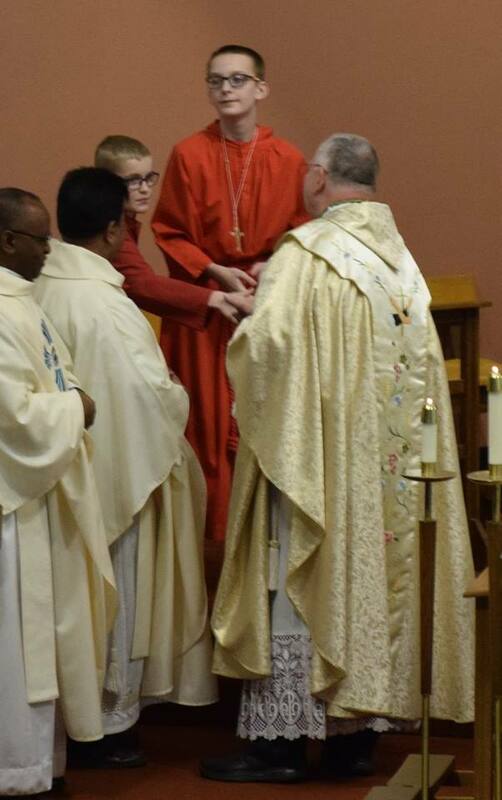 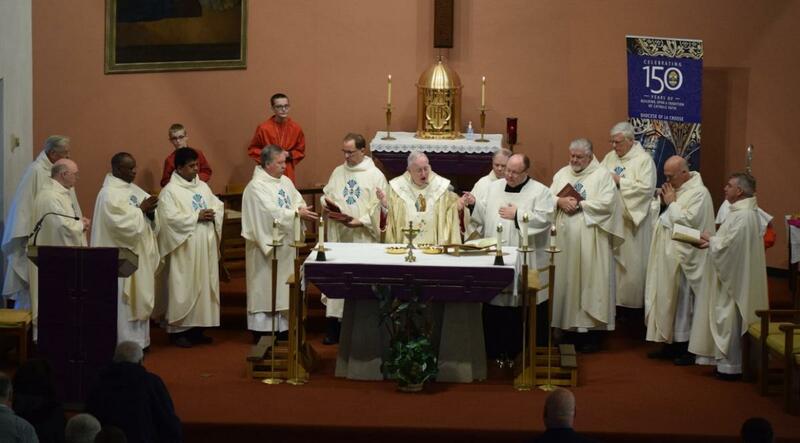 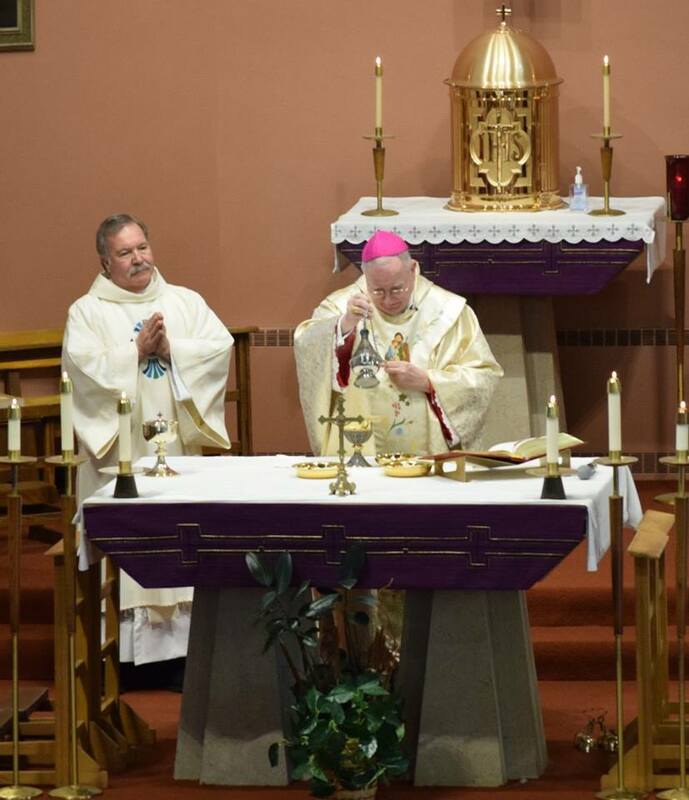 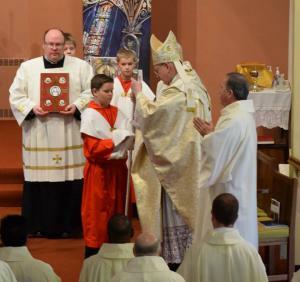 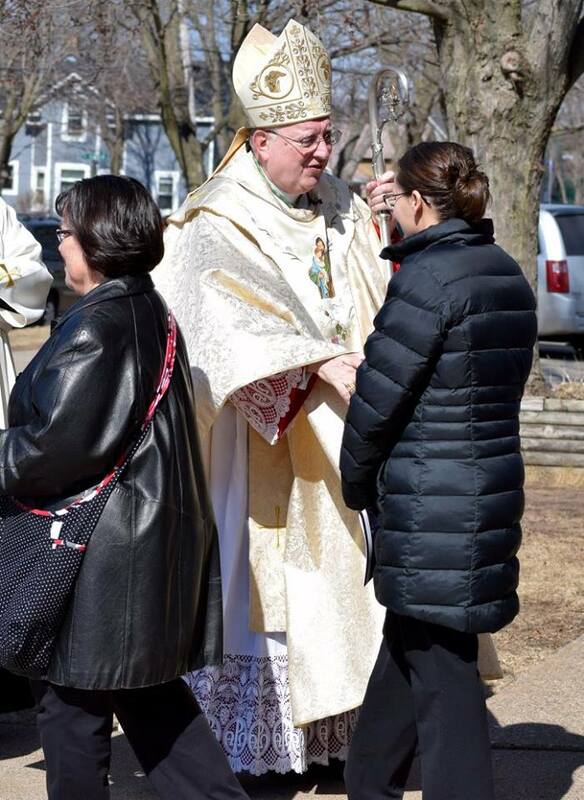 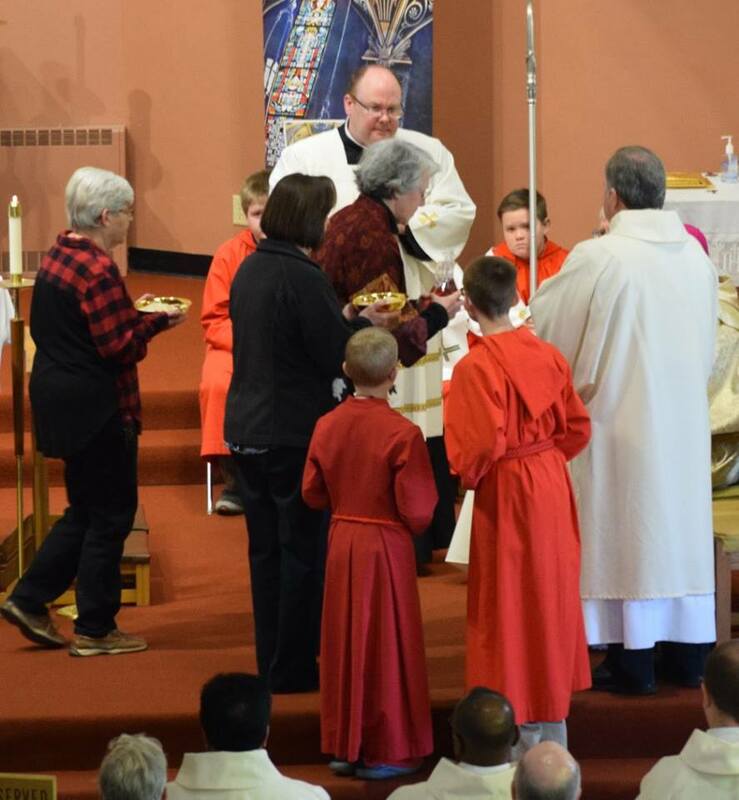 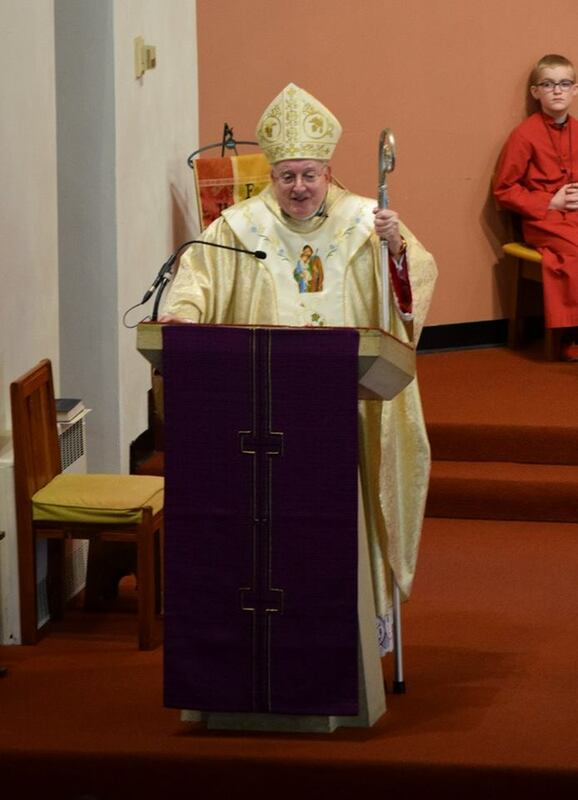 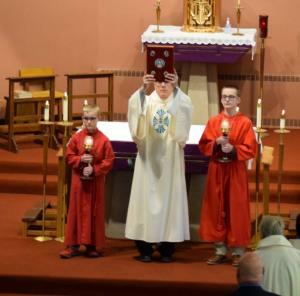 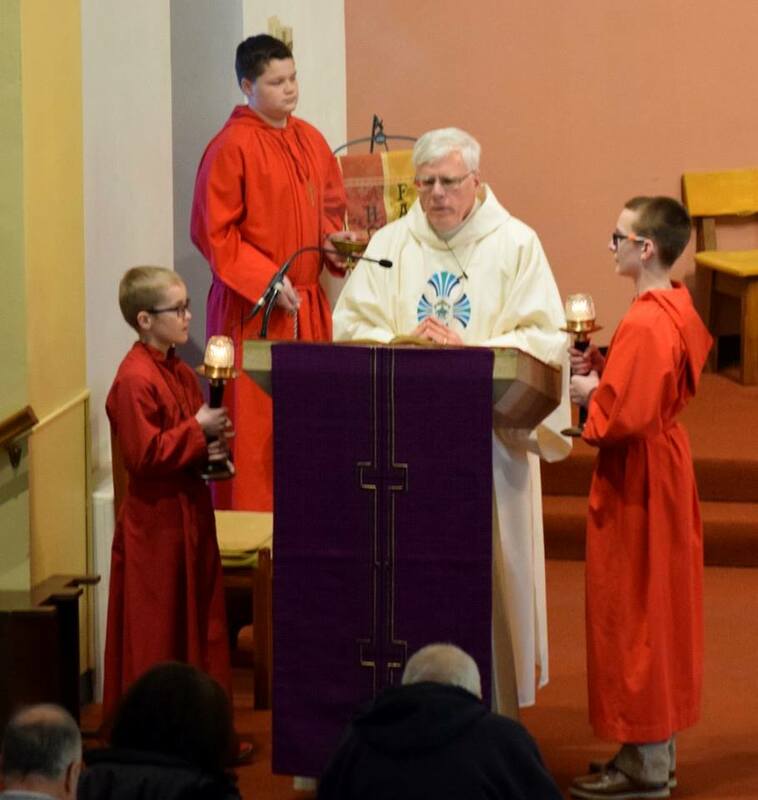 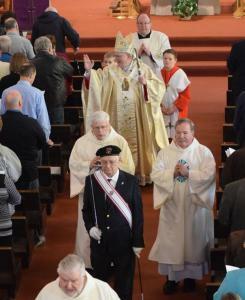 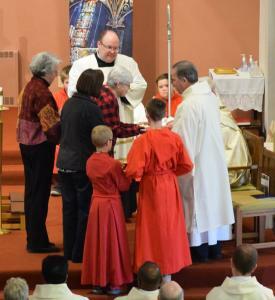 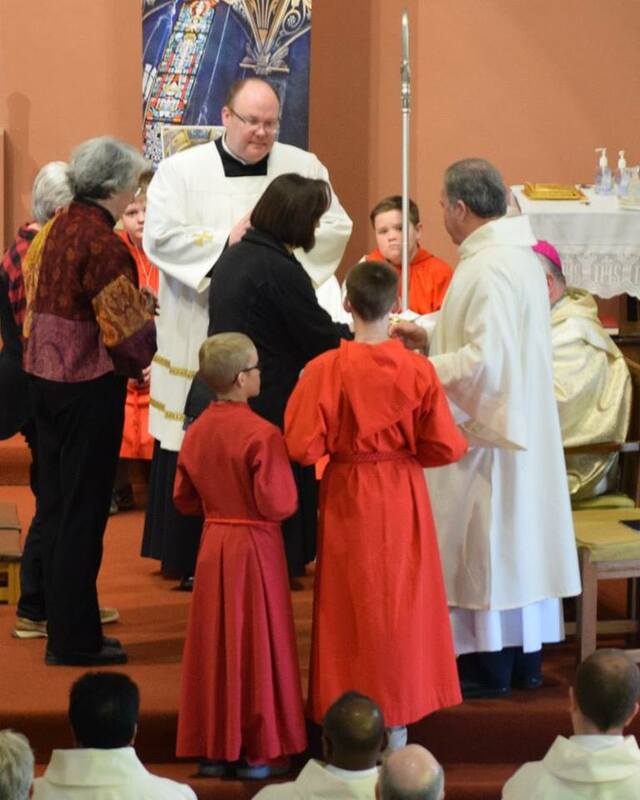 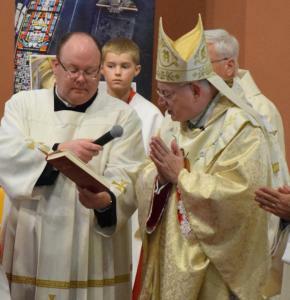 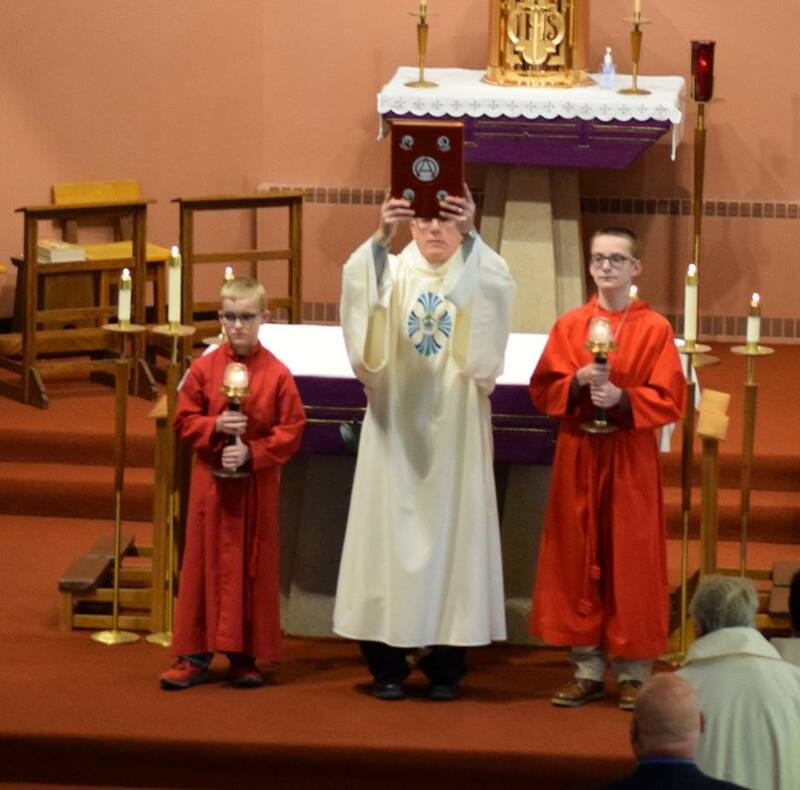 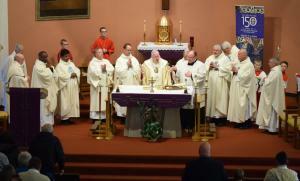 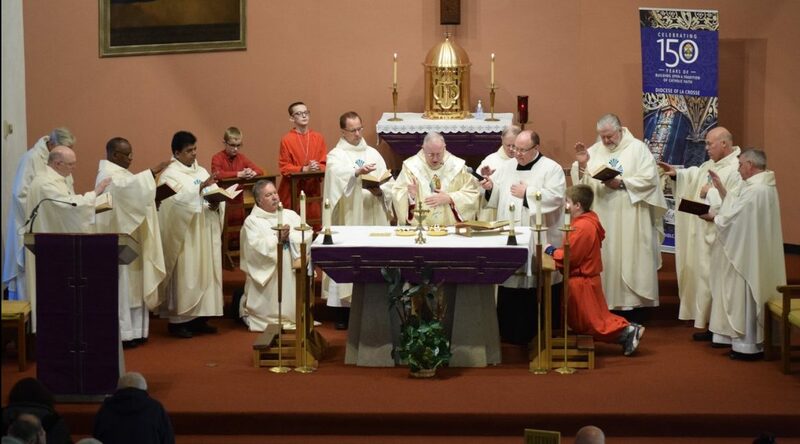 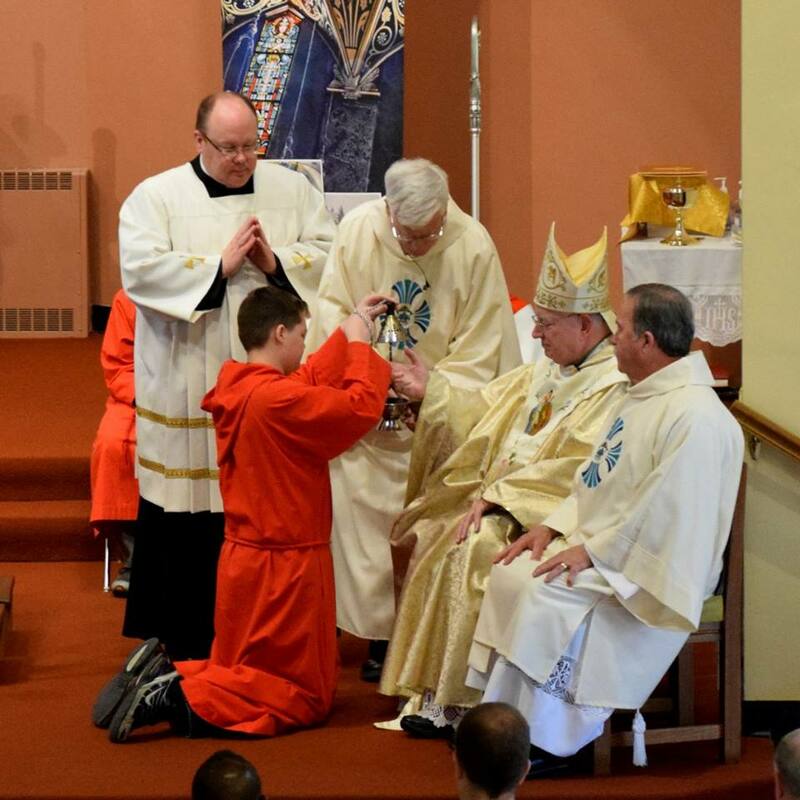 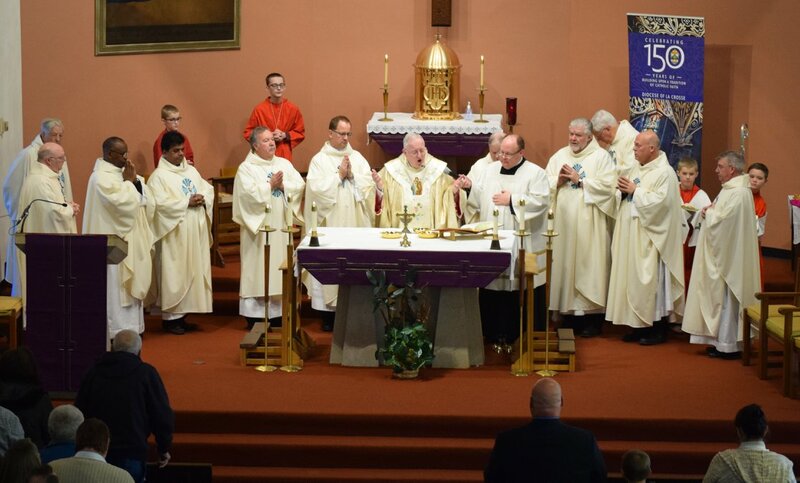 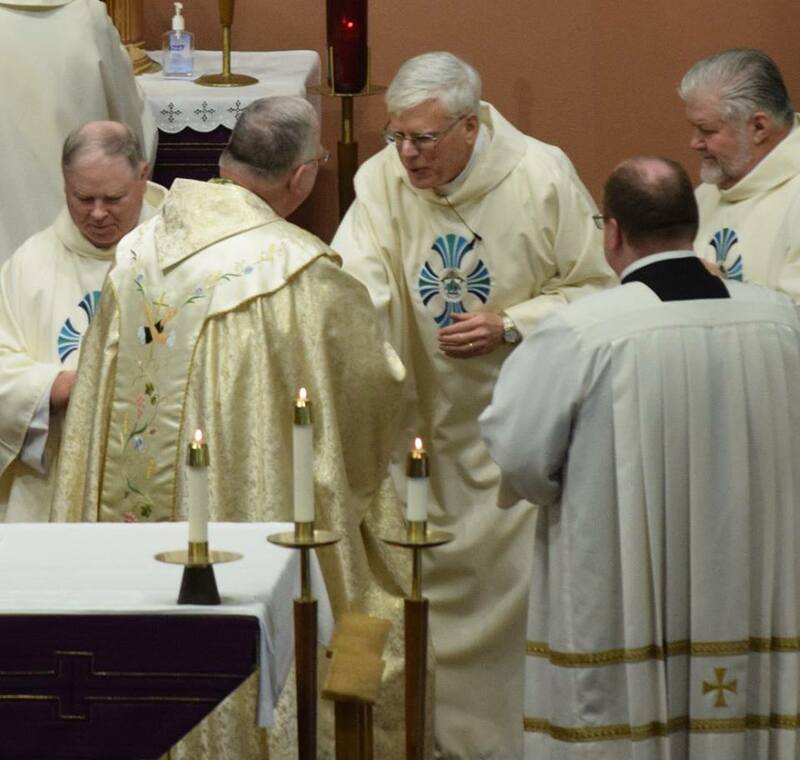 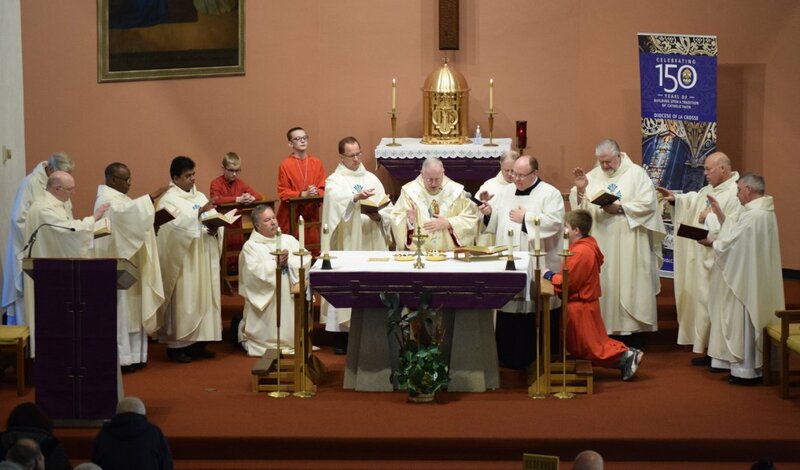 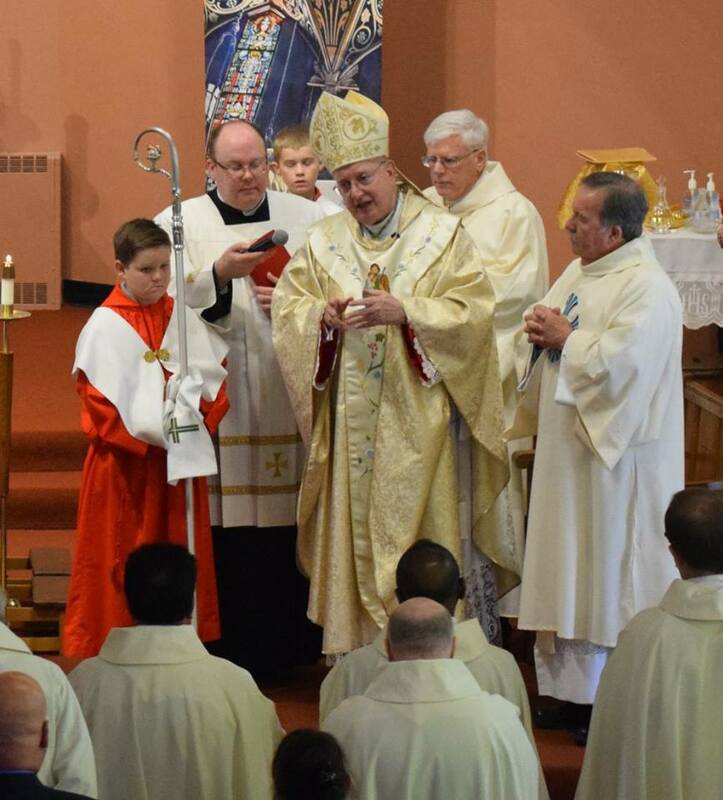 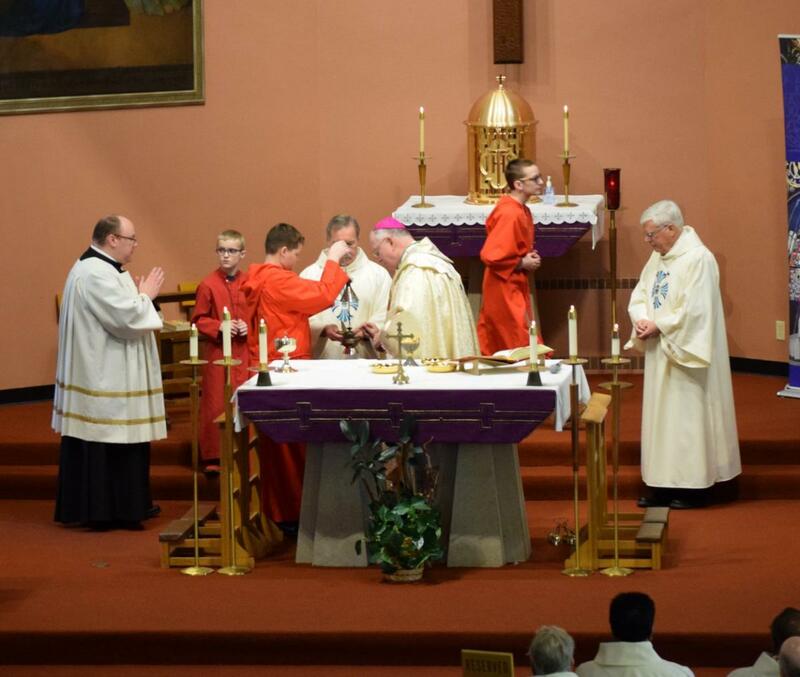 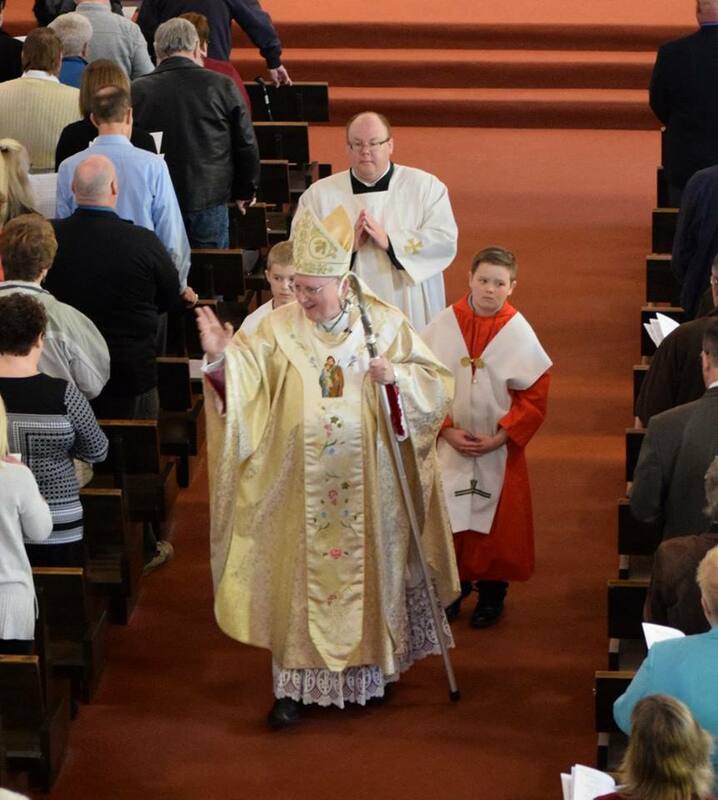 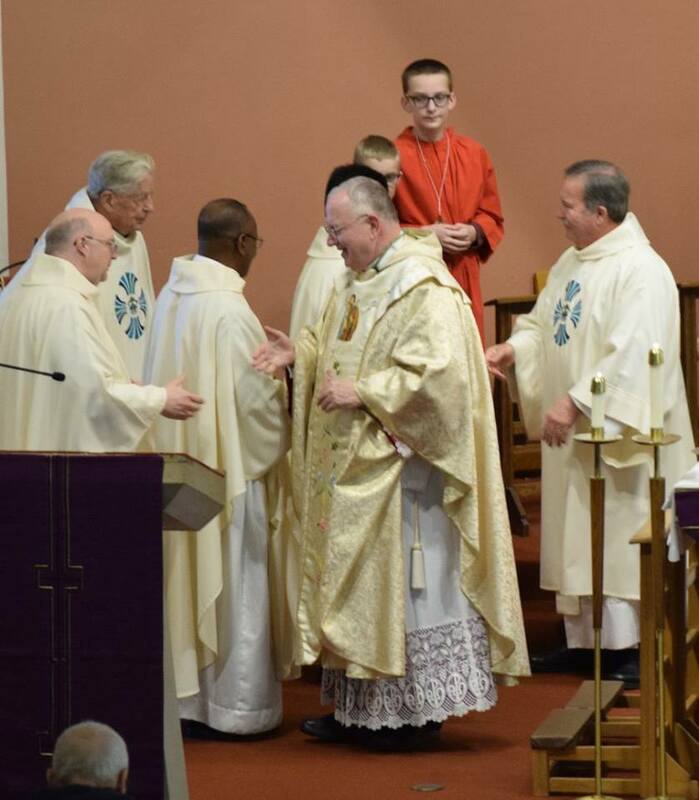 St. Gabriel Catholic Church in Prairie du Chien was filled with excitement and reverence as Bishop William Patrick Callahan opened the diocesan sesquicentennial on March 3rd, 2018. 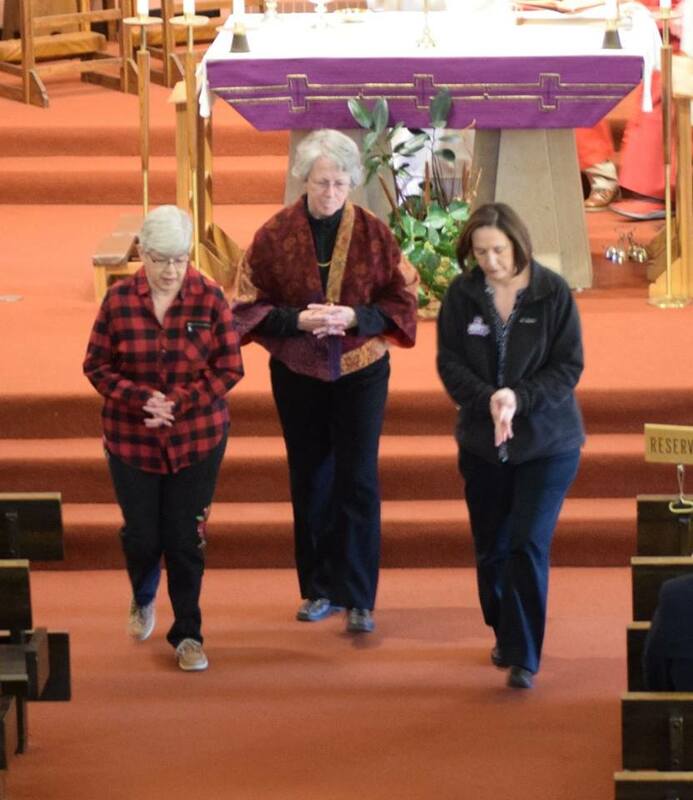 There was a presentation enumerating the elements of the diocesan crest with family members present to recount their heritage. 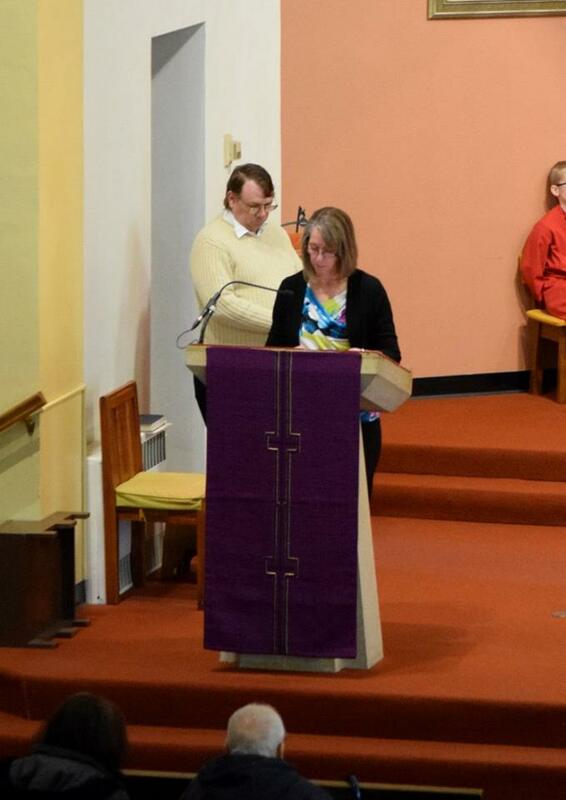 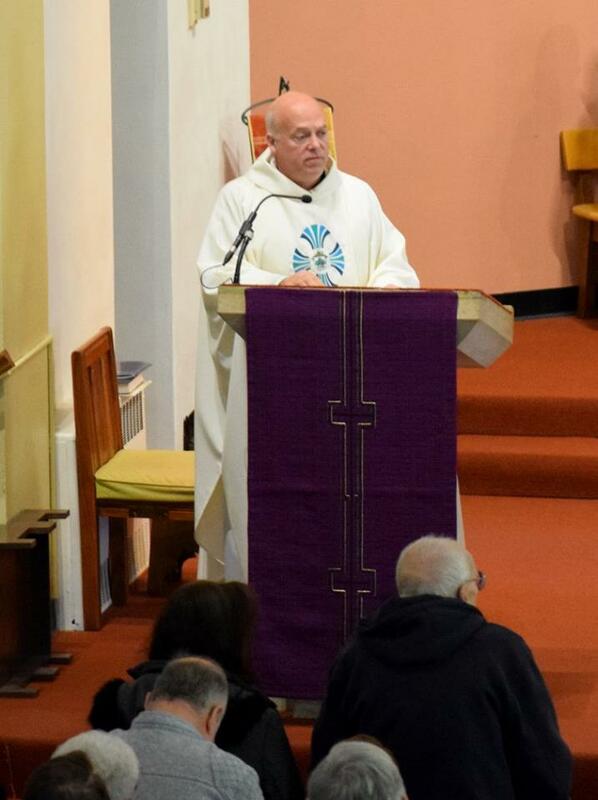 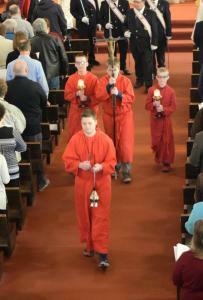 Lead, Kindly Lord, the hymn produced for the year of celebrations, was sung for the first time by those gathered. 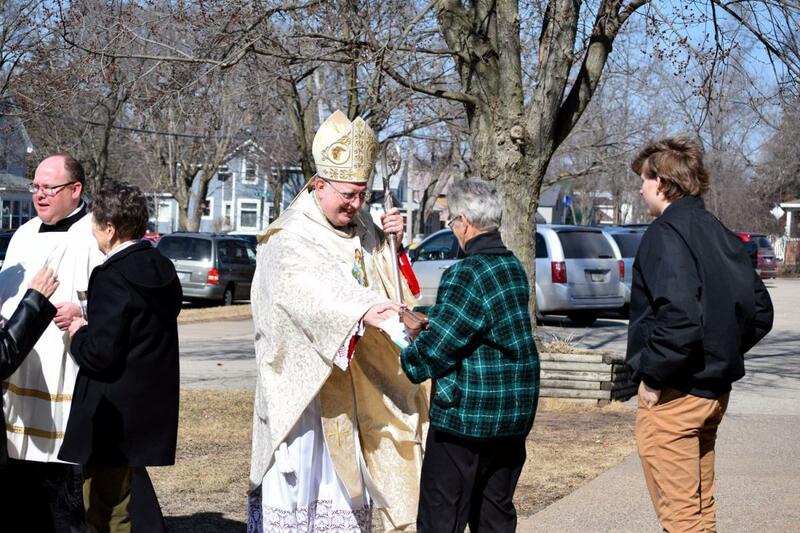 This marks the beginning of several months of celebrating the 150th anniversary of the founding of the Diocese of La Crosse. 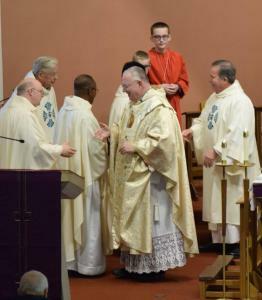 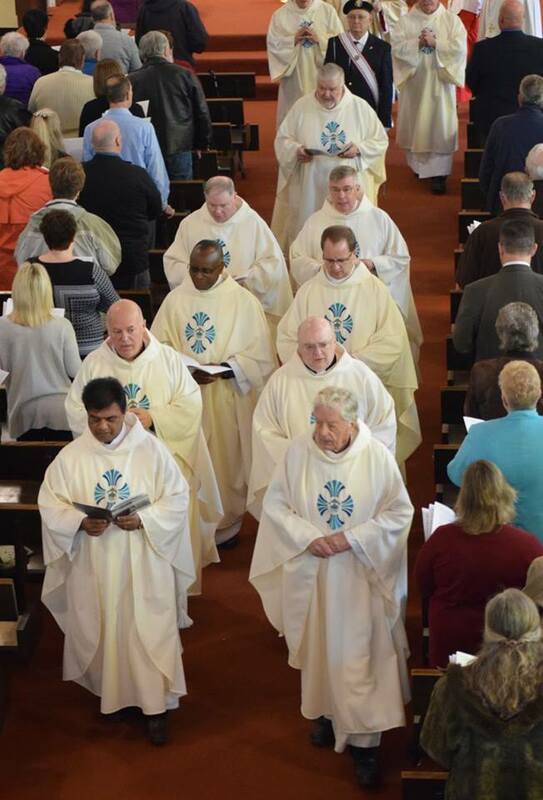 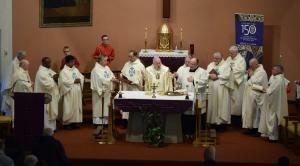 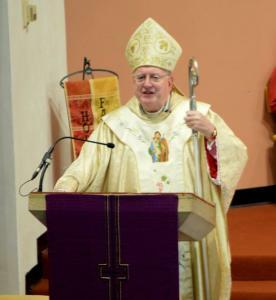 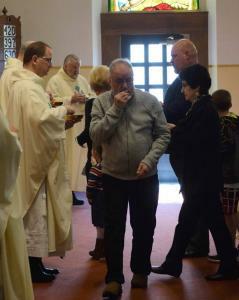 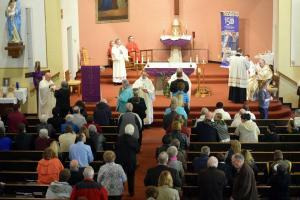 Bishop Callahan, who was named Bishop of the diocese in 2010, celebrated Mass with nearly 250 at the oldest church in the diocese. You can find out more about the sesquicentennial at diolc.org/150.